Dana Point Harbor Director Brad Gross announced his retirement via email one day after a county audit report described how government employees took advantage of a discount program at the county-owned Dana Point Marina Inn. County auditor claims discount program was abused; more reports could be in store. DANA POINT — The general feel-good of boating season, which informally starts Memorial Day Weekend, is being dampened in Dana Point by the informally announced retirement of the harbor’s director one day after a county audit report revealed government employees took advantage of a discount program at a waterfront hotel. 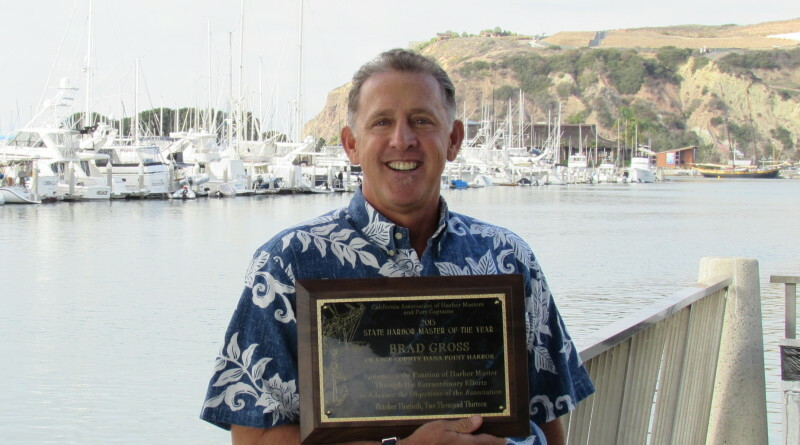 Dana Point Harbor Director Brad Gross retired from his post at the close of business on May 12. Gross’s retirement coincides with a county report stating a Friends and Family Discount Program for county employees to use at Dana Point Marina Inn, a county-owned 136-room hotel operated by Great Western Hotels Corp., was unauthorized. The Log found out about his stated retirement via an automatic reply to an email sent to him on May 10. Nofal’s email address and direct line was listed in the reply. The Log reached out to her on May 12 and requested to be put in touch with Gross. However she was out of the office and did not state when she would return. Several questions come to mind with these two events. Was Gross’s retirement directly connected to the findings of Orange County Auditor-Controller Eric Woolery’s report? If a county’s contractual relationship with the hotel was abused, as Woolery’s report states, then what other contractual relationships surrounding the Dana Point Harbor revitalization might have also been abused to benefit vendors or the county? Although Gross was not directly implicated in Woolery’s report some raised questions whether the harbor director was implicit in allowing the room discount program to continue during his tenure. The Dana Point Boaters Association (DPBA), in a newsletter published on May 13, implied Gross had institutional control over policies such as the room discount program. “The harbor director effectively serves as landlord to the hotel, so even though this discount program was implemented long before Mr. Gross was hired, and he wasn’t implicated in using the discount program, it was his responsibility to intervene to put a stop to it. At least that’s the writing on the wall,” the DPBA newsletter stated. News reports quoted county officials stating there is no connection between Gross’s “retirement” and the release of the audit report 24 hours earlier. Gross served as harbor director for nine years. Chief Operating Officer for the County of Orange Mark Denny will serve as acting director of the harbor, according to Jean Pasco, public information officer for Orange County. The Log’s attempts to reach the office of Supervisor Lisa Bartlett, whose district includes Dana Point, and other county staff with questions about whether any connections exist between the audit report and Gross’s departure were not successful as of press time. (Bartlett also served as Dana Point mayor during Gross’s tenure). Questions still loom, however, of the timing and reason of Gross’s retirement, which, so far, has only been explained as voluntary. There are also questions of how harbor operations will move forward. James Lenthall, who serves as DPBA’s vice president, echoed some of these questions. A revitalization of Dana Point Harbor has been in discussion at the city, county and state level since 1997. An Orange County Grand Jury report published in 2014 revealed nearly $20 million has been spent on the harbor revitalization between 2003 and 2013, none of which was spent on actual construction or redevelopment. ropriately allocated between 2003 and 2013. Nonetheless the Dana Point Harbor Revitalization project has been in a holding pattern since plans were first conceived in 1997, despite the millions of dollars spent (and future dollars committed). The report released by Woolery’s office earlier this month similarly stated Dana Point Harbor Inn’s financial reports appeared to be in order at first but further review revealed the unauthorized discount program. “While the financial reports appear to be in order, the audit uncovered an unauthorized discount program for county harbor employees and their ‘friends and families,’” Woolery said in conjunction with the report his office released on May 11. “County employees who oversee contracts at Dana Point Harbor have enjoyed a discount program for an indeterminate number of years. However, this program has never been authorized by the Board of Supervisors,” Woolery’s statement continued. Woolery briefly explained the discount program as a “verbal understanding” between county employees at Dana Point Harbor and the hotel. The employees would be able to rent a room at Dana Point Marina Inn for $35 per night for a standard room. A source speaking to The Log on the condition of anonymity said the discounted rate was $7 more than the standard room’s at-cost price. One- and two-bedroom suites were available to county employees for $50 per night, according to Woolery’s report. This writer looked into making an online reservation at Dana Point Marina Inn for May 26-27. The going rate for a standard room was $162 per night; a “deluxe harbor view king room” was offered at $200 per night, while honeymoon suites ran $249.95 per night. The one bedroom suite was listed at $350 per night. 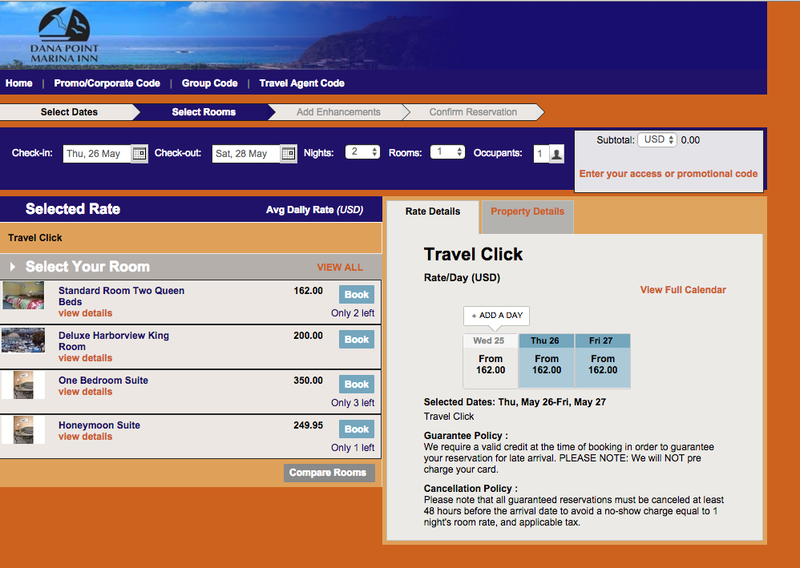 A screenshot of hotel rates at Dana Point Marina Inn for May 26-27. These rates were offered on the hotel’s online reservation system on May 12. The Auditor-Controller report found several areas of weakness with Dana Point Harbor’s operation of the room discount program. Orange County’s Board of Supervisors, attorneys and chief executive team did not approve of the discount program, according to the report. The report revealed at least two managers at Dana Point Harbor used the discount program, approved the county’s operating agreement with the hotel, and monitored the hotel management’s performance. The managers were not named in the report. A county employee allegedly rented a room at the hotel at the discounted rate for 176 nights within one calendar year, the report added. And a Dana Point employee rented a suite with the unauthorized discount for 147 nights, according to the report. “The employee under contract to the city stayed in a suite for 147 nights including nearly the entire month of July, which is a high-occupancy time and supposedly not available for the discount program,” the report stated. However the hotel’s general manager circulated an internal memorandum to Dana Point Marina Inn staff and personnel outlining specific rules of how the discount program was to be used, according to Woolery’s report. “The ‘benefit of an employee rate is offered to employee friends and family members coming to visit the area from out of town. The employee rate is not intended for personal use as a ‘vacation’or ‘get-away,’” the memorandum allegedly read. “In order to receive an employee rate, the following criteria must be met,” the memorandum apparently explained to hotel staff, according to Woolery’s report. “The employee requesting the rate must have successfully passed their 90-day probationary period. Some blackout dates may apply. Use common sense and do not request an employee rate during busy time periods, especially weekends in July and August. Apparently the general manager’s memorandum, Woolery’s report alleged, instructed hotel staff were to also apply discounts to those with business relationships with the county. Inadequate oversight and documentation of discount rate reservations was also identified as an area where the county exerted weak control over the operation of an unauthorized program. The audit included a review of hotel records and the employee discount program between Jan. 1, 2013 and Sept. 30, 2015. Dana Point Harbor Inn received $35,720 for rooms rented out to county employees using the discounted rate program. Those same rooms would have brought in $94,962 in the same time period, based on an average room rate of $102 per night – a difference of $59,242. Woolery’s report stated the discount program was kyboshed on Oct. 28, 2015. Several more reports and follow-up audits are in the works through the rest of 2016, according to Woolery’s office. Ideally the results of each audit and report will provide perspectives and clarity of whether any other abuses – or lack thereof – surround operations at Dana Point Harbor. What these reports would ultimately reveal remains to be seen but this is not the first time Dana Point Harbor has been subject to an abuse of system and finances. Brian Cleveland Dunn, a county contractor at Dana Point Harbor, was convicted and sentenced for misappropriation of public funds. Dunn was accused, arrested, tried and convicted for falsifying invoices and embezzling about $440,000 in public money. Prosecutors said Dunn started a company in 2008 to purchase landscaping materials for county projects. During the next four years he would mark up the prices of the materials he purchased, sometimes by as much as 100 percent. He would then submit invoices to the county for reimbursements for the marked up materials. The District Attorney’s office also stated used a company credit card to cover personal expenses, including travel and improvements to his home in Hawaii. About six months ago Dunn was sentenced to one year in jail, three years probation and restitution. The harbor revitalization itself has been mired in bureaucratic purgatory. When specific plans were first revealed in 2003 the estimated budget for design development, permit acquisition and project management services was $6.92 million. County officials finally began its search for a private vendor to execute revitalization plans earlier this year. The revitalization is now expected to cost about $150 million. Orange County’s Auditor-Controller issued a report on May 11 identifying an unauthorized discount program for a county-owned hotel at Dana Point Harbor. 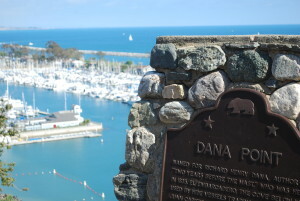 This is not the first time Dana Point Harbor has been subject to scrutiny.